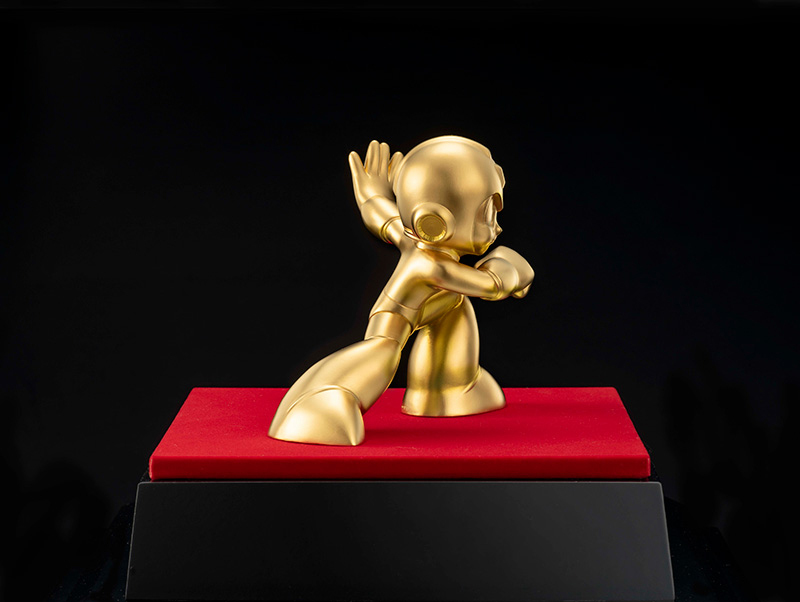 To celebrate 30 years of Mega Man, Capcom is ditching the "blue" in "Blue Bomber" and going straight for the gold with their latest offering: A 4-inch, 3.2-ounce solid gold statue of the fighter for everlasting peace. The price? A paltry 2.4 million yen, or around $22,000 (plus ten percent sales tax). You've probably got that laying around somewhere in your couch cushions, right? If that's too much for you, there's a smaller version of the same that measures 2.3 inches, 0.7 ounces, and will cost you only 690,000 yen, or about $6,227 (plus the aforementioned tax). Maybe if you check the cup holder in your car? Both versions come with a neat pedestal stating what the figure celebrates, a glass exhibit case, and a case for that featuring the 30th anniversary logo -- perfect for locking the whole thing away so that no one can ever see nor steal your precious. Either way you go, one thing is for certain: This thing's very existence has probably just ruined the collections of a lot of fans who must have simply everything Mega Man. The other one percent can pre-order it now by clicking here.